Hiring costs for even an entry-level employee might be several thousand dollars. 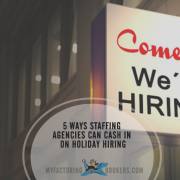 Here are five benefits of using a staffing agency that make them an invaluable resource for hiring managers. For hiring managers and business owners, turnover is a four letter word. The cost of recruiting, hiring and training new staff – even entry level staff – can run into the thousands of dollars. In fact, data recently published on Investopedia.com indicates that the real cost of hiring a single employee could be as much as $3,500. Of course, that’s only the cost of making a good hire. The Society for Human Resources Management (SHRM) estimates that the cost of making a bad hire could be as much as 5x their annual salary, and that number goes up the longer they remain in the position. 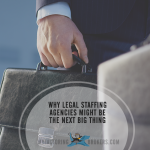 Among the benefits of using a staffing agency are reduced direct costs when it comes to hiring activities and the ability to get better new hires from the start. Working with a staffing agency allows your team to stay focused on the tasks and tactics that make your business most profitable. 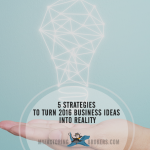 With fewer tasks to be completed in-house, distractions are minimized. Let a staffing agency do the busy work of filling your candidate funnel and eliminating those who are not qualified or who are not likely to be a good fit for your company’s culture. 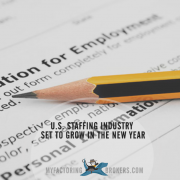 Staffing agency recruiters are trained and experienced experts who can efficiently sift through the hundreds – or even thousands – of responses your job posting may solicit and bring you a short list for consideration. 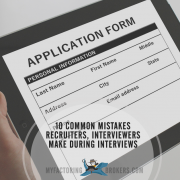 What’s more, their insights about candidates or their resumes can be invaluable in helping you decide which candidates should make the cut and move on to an interview. Few things are more frustrating within the recruiting and hiring process as moving a candidate all the way through the process to the point of making an offer, only to discover that they had unrealistic expectations about the job, its salary range or responsibilities. One of the benefits of using a staffing agency is that they give candidates information about your company and the position ahead of time, so that candidates who want to self-select out of the process for any reason can do so, saving you time and resources in the process. Recruiting and hiring processes can take months! You can short-cut the process by working with staffing agencies who have already recruited, interviewed and pre-screened candidates who can be in place within a day or two, instead of weeks or months. Having the ability to work with candidates on a trial basis as temporary employees placed through a staffing agency gives you the opportunity to bring in top talent and see how they fit within the team and perform without making a long-term commitment. It can be equally positive for candidates themselves as they have a chance to find out whether the job and your corporate culture is a good fit for them. 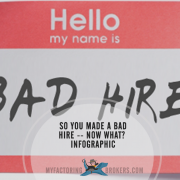 If you have experienced the pain and high cost of making a bad hire, this reason alone might make the benefits of using a staffing agency preferable to doing the recruiting and hiring yourself. The cost of a new hire is far greater than the cost of posting position openings or running a new hire screening, and not all of those costs can be measured in dollars. For instance, how can you calculate the negative impact of turnover on an understaffed department, or time lost to productivity when new hires are shadowing other employees? It’s a lot! When you begin to tally up the cost of time spent on-boarding new hires, doing paperwork, setting up payroll and benefits, completing training and lower productivity while they get up to speed, you can begin to understand the high cost of employee turnover and better appreciate the benefits of using a staffing agency, especially when it comes to improving the cost of new hires. 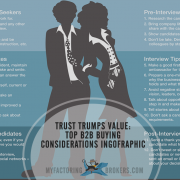 My Factoring Brokers is one of the best factoring companies for staffing and temporary employers, with staffing factoring rates as low as 1%, high advances and free, same day funding. If you are looking for a staffing payroll funding company or staffing factoring services, we invite you to get a free, no-obligation quote. You could go from approval to your first funding in a few hours!